Each bow is hand crafted from premium grosgrain ribbon. The edges are heat sealed and your choice of latex bands or a barrette. 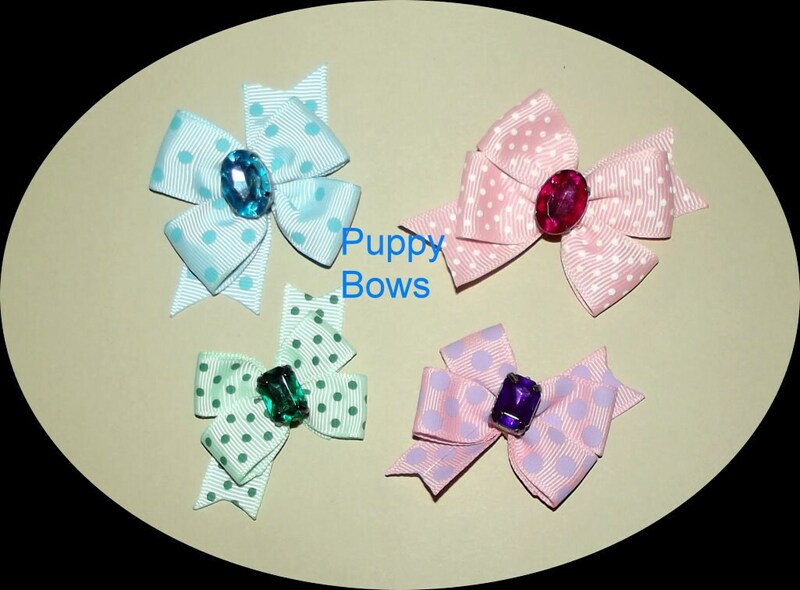 The teal green bow on bottom left with green emerald and the pink bow on bottom right with purple dots measure about 1.5" and the other two bows measure about 2". I have 2 of each style available.